Bharatiya Janata Party president Amit Shah intensified his attack on West Bengal Chief Minister Mamata Banerjee on the issue of the National Register of Citizens. Addressing a rally at Mayo Road in Kolkata, he accused Banerjee of playing vote-bank politics and having a hypocritical stand on illegal immigration. He further added, "The BJP cannot sacrifice the internal security of the country for the sake of vote-bank politics”. He claimed that the BJP will uproot the Trinamool Congress from Bengal and it is targeting 22 out of 42 next year's Lok Sabha elections”. According to Shah, the NRC list is the best way to identify and throw out illegal Bangladeshi immigrants. He further said that the NDA government is trying to bring a Citizenship Amendment Bill to provide citizenship to Hindu migrants from neighbouring countries. “I am asking both AITC and Congress a question. Will they support the Citizenship Amendment Bill 2016 that will be placed in the Parliament? Both political parties need to clear their stand before the 2019 Lok Sabha elections. The Congress has already opposed the Citizenship Amendment Bill. If they oppose the Citizenship Amendment Bill, why are both the parties opposing the NRC?” Shah mentioned. The BJP president further accused the Trinamool Congress government of being run by a "family syndicate". Trying to bring in the communal angle, Shah refered to the restrictions that the the West Bengal government had imposed on the idol immersion during Durga Puja last year. “Once we come to power, people can celebrate Durga Puja without any worry and we will not indulge in appeasement politics,” he said. 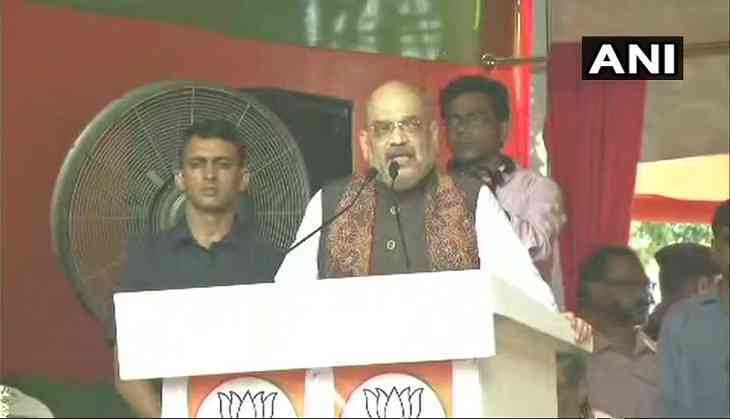 Shah also claimed that all Bengali news channels have been blacked out by the state government to stop his voice from reaching the people. The Trinamool Congress has condemned the BJP's president's statements. The party said from its Twitter handle, "BJP has just concluded another flop show in Bangla. They are saying that their meeting was blacked out. Blackouts and blackmailing is what BJP do. Don't insult the media . All (of them) showed (the rally). We challenge BJP, either prove it or resign".